It's been 15 years since his first memoir but Bruce is still living the dream as a "B" movie king in an "A" movie world. 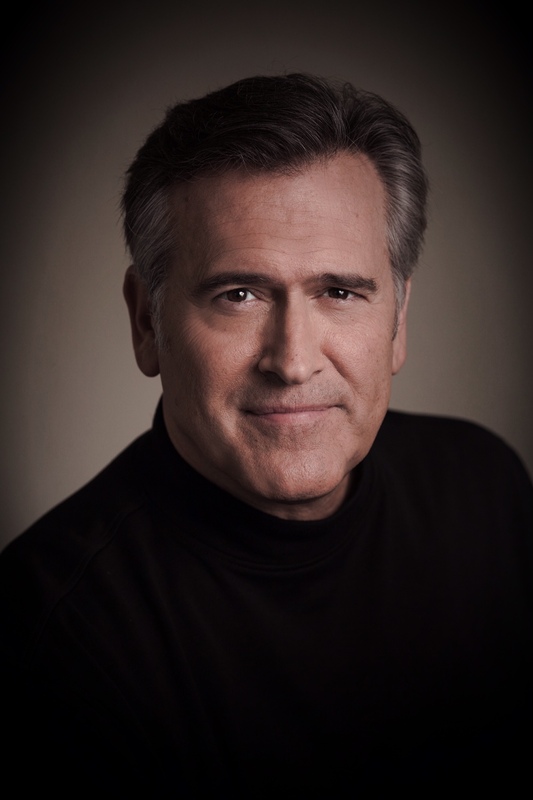 Bruce Lorne Campbell is an American actor, producer, writer and director. He is best known for his starring role as Ash in the trilogy of horror/slapstick movies, and has since become a B-movie icon. His acting style is an "over-the-top" machismo that lends itself well to roles such as that of Ash Williams, whom Campbell himself has dubbed "an idiot and a jerk like the rest of us". This style is parodied in the film where Campbell appears as Roland the Intrepid Explorer in the B movie , written by Jim Carrey's screenwriter character. Campbell also excels at "reverse acting", a frequent filming technique of Sam Raimi's where action sequences are filmed in reverse of how they will appear in the film. Campbell offers advice about getting into the film industry on his website. Campbell is well-known for his trademark sense of humor, which he often couples with deadpan (and somewhat sarcastic) comic delivery.